For a good many years, I simply did not get meatballs. I got the attraction. You can combine a variety of ground meats, including turkey, pork, lamb, beef. They can be a tasty way to integrate a yummy sauce. And they’re cute, especially if they’re small. Which also makes them great as a party food. But the meatballs I tasted at my friends’ houses and in restaurants were really mushy. Blech. It didn’t take long to figure out that the mushiness came from the breadcrumbs that are added to the meat mix. It’s the bread that makes that icky texture. 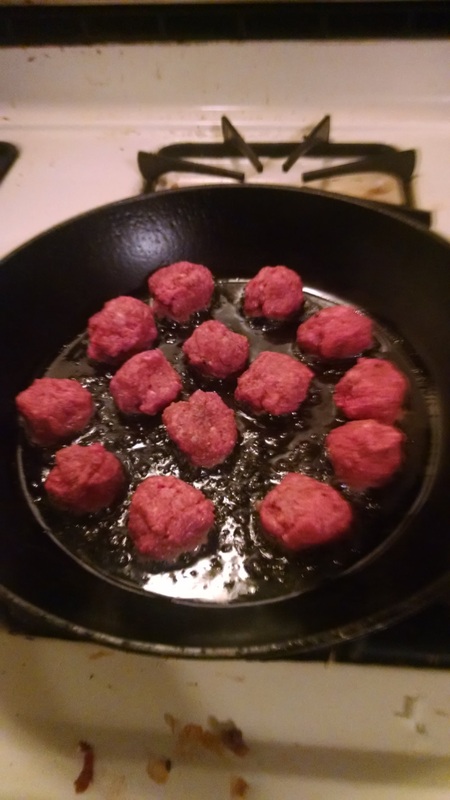 So I tried making meatballs every now and then, without the breadcrumbs, and they constantly fell apart in the pan. What a nuisance. That’s because the breadcrumbs were needed to act as a binder for the meat. An egg, while also a necessary part of the whole process, just wasn’t enough. But meatballs are cute. They’re nice to have in the freezer to add to some brown rice, broth and veggies for a reasonably healthy lunch. And you can’t beat them as a way to soak up a nice sauce. I love sauces. So I tried again. 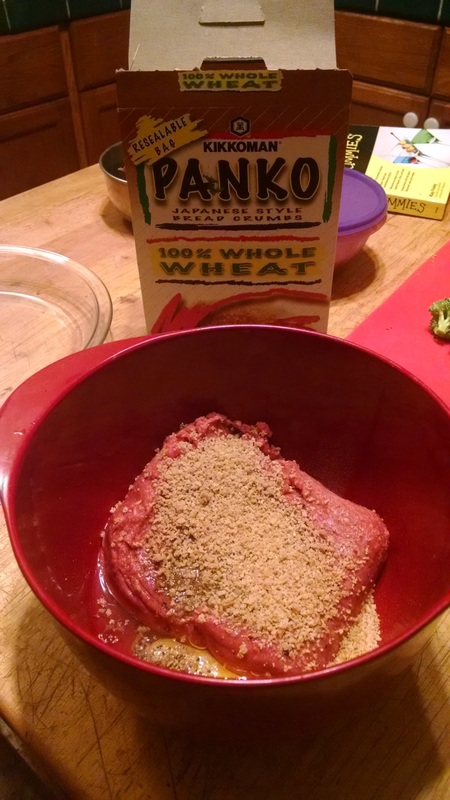 But this time I only added a scant (as in almost) quarter cup – maybe not even that much – of panko crumbs to the ground turkey. This in addition to the egg, salt, pepper and in this case, some five spice powder because we were making the same sauce you use for Chinese Orange Chicken. And guess what? My meatballs held together and they weren’t at all mushy! 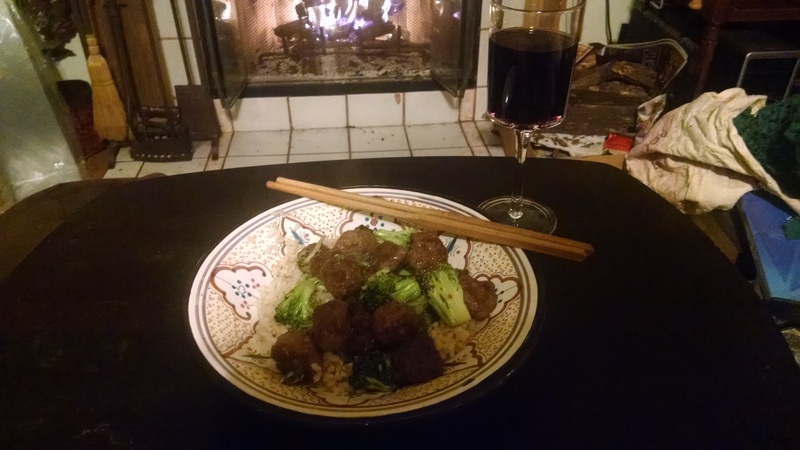 After the meatballs were browned, I took them out, gently stir-fried some broccoli, nuked the leftover rice in the fridge, added the meat back, then poured on the sauce and cooked it until it thickened slightly. The result was delicious and the meatballs can be used with a variety of different sauces, such as a broth or tomato sauce or alfredo sauce. Hm. Looks like I’ve got some experiments in my future.